Alfonso Nicolás López, M.D. passed into the presence of our Heavenly Father on July 4, 2018, at the age of 90. He is survived by his eight children, two daughters-in-law, a son-in-law, eleven grandchildren, and his sister Maria Angelina López of Monclova, Coahuila, México. Known to his loved ones as Poncho, Tío Po, Uncle Al, Pop, and Doc, Alfonso was born in Del Rio, Texas, in 1927. Raised in Monclova, he played baseball as a youth, and attended medical school at La Universidad Nacional Autónomo de México, graduating with a M.D. in 1956. Later that year, Alfonso travelled to San Antonio, Texas, with plans to complete a one-year residency at Baptist Medical Center. There he met a beautiful nurse named Virginia Cruz Garcia, and he decided to stay. Alfonso and Virginia were married for thirteen years and raised eight children: Virginia Cruz, Alfonso Nicolás, Jr., Sylvia Iris, Adrian Ruben, Victor David, Marco Antonio, Edward John, and Carlos Daniel. Under his professional name, Dr. A. N. López practiced medicine in San Antonio for over five decades. A specialist in pathology, he served as Assistant Medical Examiner of Bexar County in the late 1960s, the first person of Hispanic origin to do so. He was a founding faculty member at the University of Texas Medical School at San Antonio, Department of Pathology. He served as a medic in the United States Army Reserves, rising to the rank of Major. 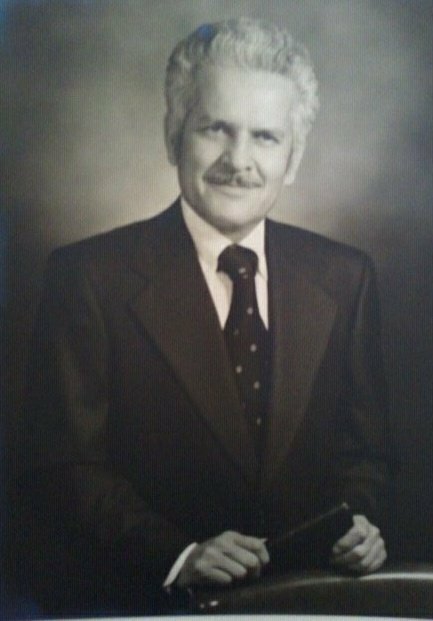 Then in 1970, Dr. López started his private practice of general medicine and surgery, with privileges at Methodist Hospital. His practice included a pathology lab, in which he processed lab work for his own patients as well as those of other San Antonio physicians. Closing his practice in 2003, he continued to work part-time in medicine for several years. During this time a physician friend became ill, and Alfonso stepped in to sustain his friend’s practice and care for his patients. He always held his friends in mutual loyalty, and it was his nature to extend himself for his friends. In addition to medicine, Alfonso’s other passions included family, baseball, horses, traveling, and socializing. His intense love of family prompted him to return with his children to Monclova three or four times annually. He nurtured familial relationships across generations, languages, and an international border, strongly uniting the extended López family. His travels took him to three continents and most of the U.S. states. He attended games in 19 of the 30 major league ballparks, as well as numerous minor league games and spring trainings. An avid horseman, Alfonso was a member of the San Antonio Charro Association for over three decades, and participated in countless trail rides and other equine activities. Although a soft-spoken man of few words, he possessed a firm personality and a staunch work ethic. His aspect was gentle yet firm, chin held high and eyes fixed, in eager anticipation of what came next. He moved through life with vigor, with a rapid gait, and always with many plans and many people to get to. He was a spiritual man, who had a close relationship with God, and is at peace with Him now. Father, doctor, horseman, serviceman, and adventurer, Alfonso’s love of life was contagious and will endure through the legacy of those who loved him. Visitation is Monday July 9 from 5:00 to 9:00 p.m. with the Rosary at 7:00 p.m. at Chapel Hill Funeral Home, 7735 Gibbs Sprawl Rd. The funeral mass is Tuesday July 10 at 10:00 a.m. at Holy Trinity Catholic Church, 20523 Huebner Rd., with internment Tuesday at 12:00 noon at Cordi Marian Cemetery.